Leading legal expenses and assistance provider ARAG has appointed two new account managers as Head of Sales, Andy Talbot, takes responsibility for both the company’s After-the-Event (ATE) and Before-the-Event (BTE) sales teams. Basil Anderson has joined ARAG as Corporate Account Manager, with responsibility for building and managing relationships with insurers, financial institutions and other MGAs. He brings significant insurance sector experience, after roles with RSA, Allianz and, most recently, Bank of Ireland. 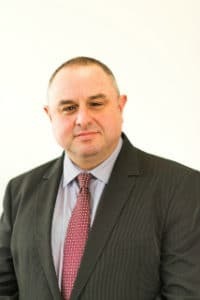 Joining the ATE sales team is Paul Morgan, who will be working with law firms and intermediaries, particularly in South Wales and the South West of England. Paul has 8 years of account management experience within a law firm and many more in the logistics and publishing industries. Andy has led ARAG’s highly successful BTE sales team since the business was established in the UK in 2006.